Kiyomi Lim's Site. : Lets play some game! 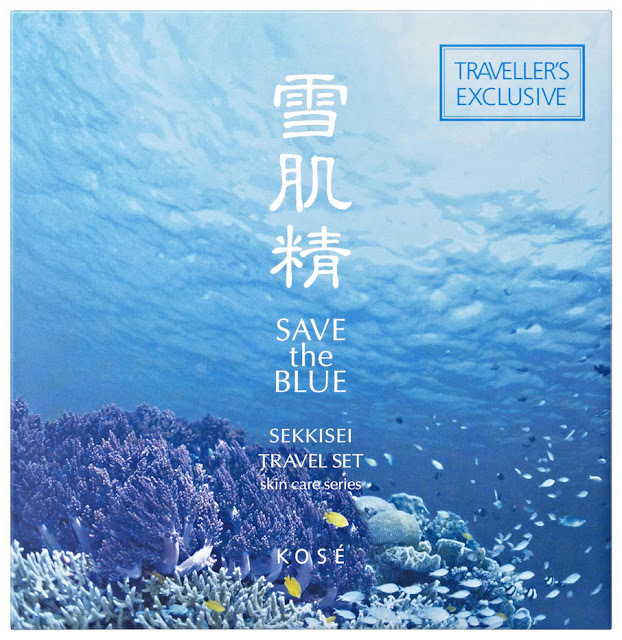 So I am back to tell you sweetiepies about KOSE Save the Blue again. Remember the previous time I mentioned KOSE's Save the Blue Travel set? I said that it's realllly all-in-one plus it can be used for a really long period! & that it's really a good buy. Here's the bad news, this item will only be selling in stores till end of July. After July, this product will no longer be available in our retail outlets in our reach but.. So you will have to grab this product before it's no longer in reach! Plus it's a really good buy as the original price is SGD209 and now only at SGD142. 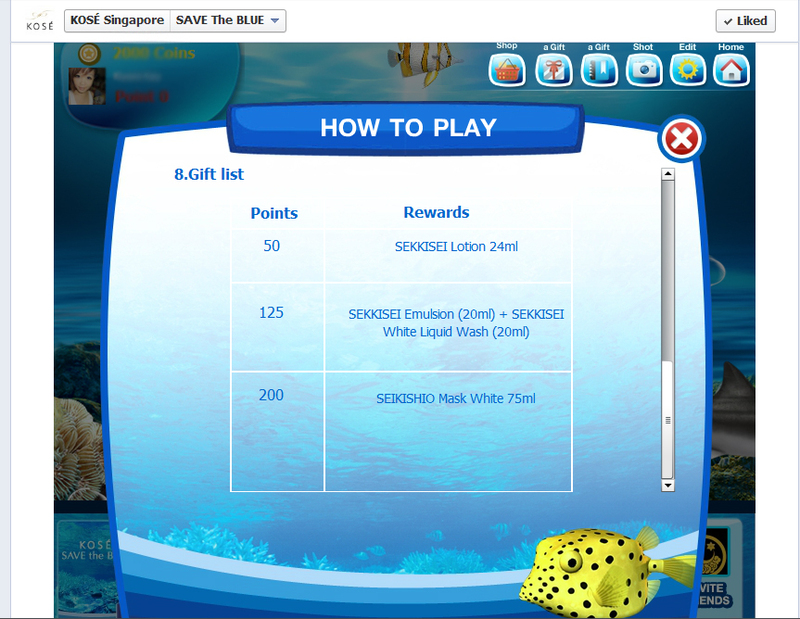 Next, I am going to encourage you guys to play KOSE's Save the Blue Facebook game! *Play if you love free stuffs/ is simply facinated/ bored/ just to try your luck! This game starts from 15th June till 31st August! In order to gain your interest in this game.. I am going to show you all the prizes first! you will have to read on for my tips! -It's a little laggy so you really really need this. -In order not for friends to ignore you or scold you for game requests, you will have to explain to them why you're playing this game. -Tell them that they can win prizes too and ask them to play the game if they want to win too. -So after you have done all that, add them in the game and send gifts to each other and decorate your aquariams! -You will need points not coins!